From the capital of United Arab Emirates Umm al Quwain is 61.2 km far. Tourists travelling from Dubai to Umm al Quwain usually prefer car, although all means of transport helps you in covering the extent of distance between two locations. Planning a journey to Umm al Quwain can be exciting, whether you’re a UAE citizen, intend to see someone there or a tourist who wants to explore the culture in different emirates. It’s one of the sovereign emirates of United Arab Emirates and is situated in the northern region of country. 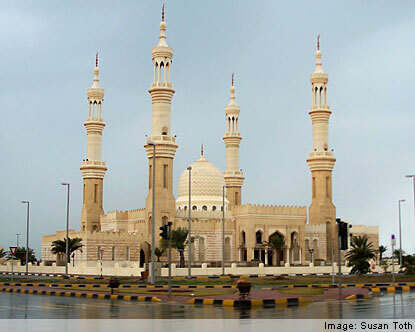 With 62,000 inhabitants, this emirate declares itself as the least populated emirate. Covering the area of 750 kilometers Umm al Quwain was initially ruled by Rashid bin Ahmad Al Mu’alla. The name of the emirates has several spellings it has been spelled as Umm al Qawain, Umm al Qaywayn, Umm el Qiwain and Umm al Qaiwain. If you’re planning travel between Dubai and Umm al Qaiwain, do follow the guide below to avoid any hassles on the way. Journeying on a four wheeler is considered as an ideal selection of transport mode, especially for those who enjoy travelling. While on the way you can explore and see various sites and location, in fact you can also make as many stops as you wish to. The distance from Dubai to Umm al Quwain by road is approximately 28 miles; it will take 10 minutes less than an hour to reach at the destination. For a detail view of the suggested route you can Click Here! Bus is another convenient way to cover the distance between Dubai and Umm al Quwain. Less than 10 AED are the travelling charges. Dubai Ittihad Station on route E601 (RAK) is not only responsible to provide bus services from Dubai to Umm al Quwain, if you take the first exit from the Union Station you will view various buses lined-up; the ticket is of 10 Dirhams. Ras Al Khaimer bus is another service that stops at your destination, Umm al Quwain. Although it is the cheapest way to travel still it takes a lot of time to cover the required distance.